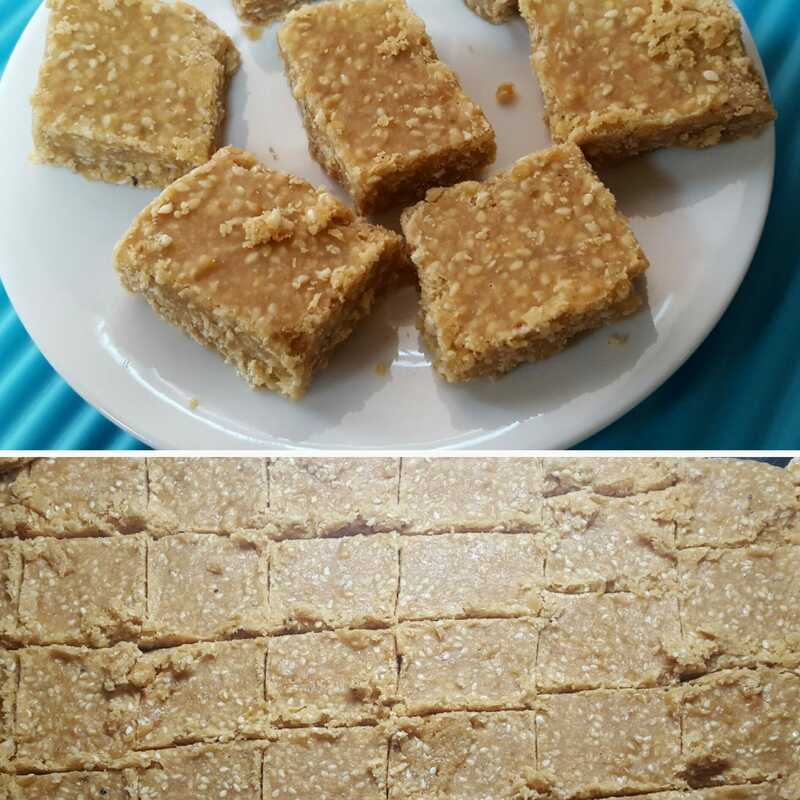 Gur & til ki chikki is a special recipe for a winter season.Gur & til ki chikki is very nutritious and healthy because it made with til- gur, and both are full of vitamins as iron, calcium, magnesium. Heat a deep non-stick pan, add the sesame seeds and dry roast it in a medium flamefor4-5 minute.Remove from pan and keep aside, after cool take half sesame seeds grind coarsely. Heat the ghee in the same deep pan, add the jaggery, mix well and cook on a medium flamefor4-5 minute, while stirring continuously.Switch off the flame, add roasted coarsely grind and other half sesame seeds and mix very well. When the mixture is ready, put the mixture into the greased plate or tray, spread its frame with a spoon. Let it cool for 8 -10 minutes, cut them into small pieces in any shape using a sharp knife. After cooled completely, store in airtight container.